WASHINGTON — Brad Parscale, the Trump campaign's digital media guru in 2016, has been tapped to lead President Donald Trump's 2020 re-election effort, the campaign announced Tuesday. Parscale will focus on midterm election efforts, as well as laying the groundwork for Trump's 2020 run, the campaign said in a statement. In recent weeks, Trump has been vocal about the need to maintain GOP majorities in both chambers of Congress, imploring conservative crowds across the country to elect more Republicans to support his agenda. In the Tuesday statement, Jared Kushner and Eric Trump praised Parscale, with Trump saying the newly named campaign chief "has our family's complete trust and is the perfect person to be at the helm of the campaign." Kushner and Parscale enjoy a close relationship dating to their time on the 2016 Trump campaign. Conservative blogger Matt Drudge touted the news as a "SHOCK ANNOUNCEMENT" Tuesday morning, but it's no surprise that Trump is running for re-election: The Trump 2020 campaign filed with the Federal Election Commission on the day of his inauguration — the earliest such move by a sitting president. Trump frequently mentions his plans for a second term, and has fundraised for his campaign. Last week at CPAC, the conservative gathering, he told the crowd there were still "seven years to go" to accomplish his agenda: "You know, we got a long time to go." In the 2016 race, the position of Trump campaign manager was a precarious one. Trump went through three managers — Corey Lewandowski, Paul Manafort and finally Kellyanne Conway — from the time his campaign began in June 2015. Parscale's work on the Trump campaign is notable beyond the praise from Trump World insiders: Special counsel Robert Mueller is reportedly interested in the campaign data operation he helmed, including the work it did with the conservative data firm Cambridge Analytica. 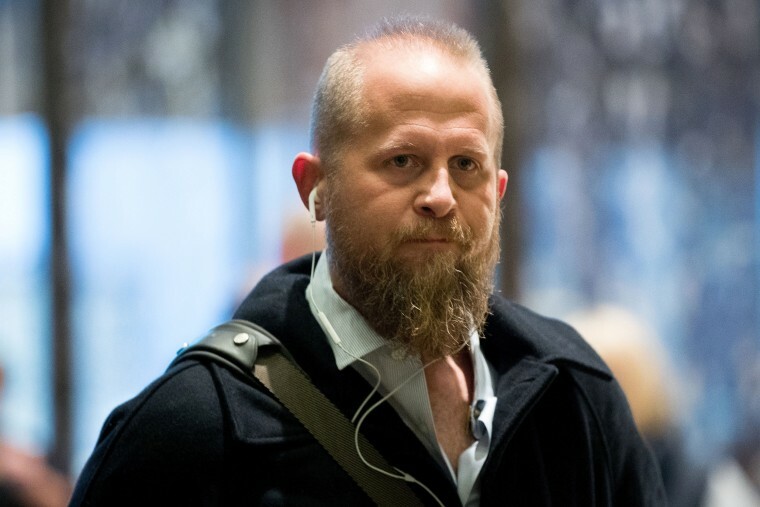 Though Parscale did bring Cambridge Analytica into the Trump campaign orbit, he denies any knowledge of any failed attempts by that firm's CEO to contact WikiLeaks about the Clinton team's hacked emails.